For all commercial drone users, display brightness via the standard monitors and not to mention tablets/smartphones just is simply not good enough. While this is not the case with night footage or perhaps during rainy weather, it sure is in direct sunlight. So, with display brightness being a clear issue, the folks over at DJI decided to take action into their own hands. Even though there are state of the art bright displays for drone monitoring, they cost a proper fortune. That’s why DJI took a different approach and is presenting us with much cheaper options (more on the pricing down below). So, with those introductory sentences, I believe it is time to dwell deeper into these new DJI products. 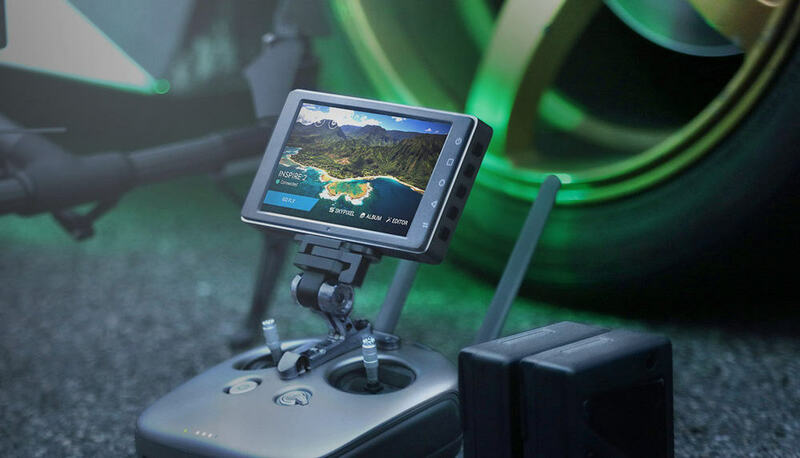 If history has something to teach us, it’s definitely that DJI will amaze us with the bang for the bucks these monitors provide. Let’s jump straight to business and see whether or not that’s true! Even though a lot of time has passed since these monitors have been announced, they still have not hit the shelves. Luckily, Adam Lisberg has made the official announcement at the NAB 2017 Show in Las Vegas, Nevada. More precisely, even though the exact release date still has not been set (It seems as though it will be somewhere around May this year), at least now we know more about the pricing. It’s speculated that these bad boys will both be equipped with powerful 4920mAh batteries. Best of all, they will be able to endure 5 to 6 hours of active work. Another awesome thing is the fact that the batteries are easily replaceable meaning you can get an extra one and be amazed with whopping 12 hours of active work. When it comes to performance, the first thing I would like to state is the ability to output 4K videos via the built-in HDMI port. 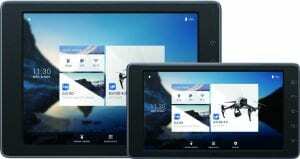 Additionally, you will also find 2 microSD card slots for capturing footage straight to the monitor. Yup, CrystalSky is able to record footage straight to the provided microSD cards. With support for both H264 and H265 decoding, it’s safe to say that CrystalSky will take the market by storm. 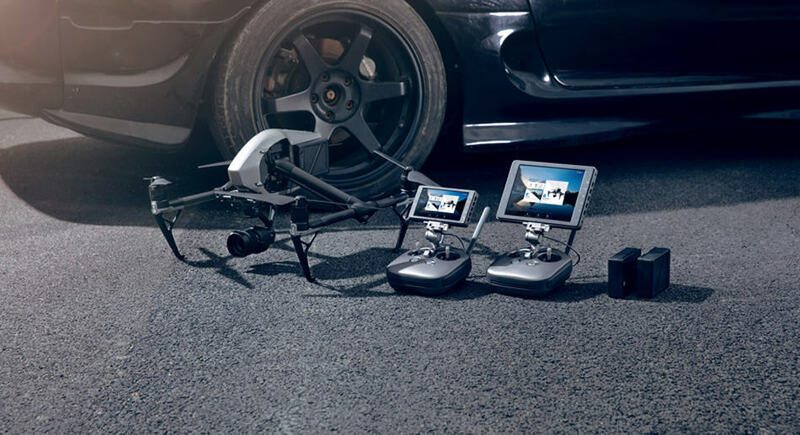 It can record and live stream in up to 60 frames per second, providing you with silk smooth transitions and professional grade aerial footage. Of course, it works perfectly with the updated DJI GO App and offers the fully fledged experience with access to all adjustments you’d expect to see. Unfortunately, we still have no information regarding the ecosystems this feature will work in. Hopefully, CrystalSky won’t be bound to DJI drones only. That’s the case with DJI Goggles and many people are outraged. So, let’s hope that the folk over at DJI have come to their senses. 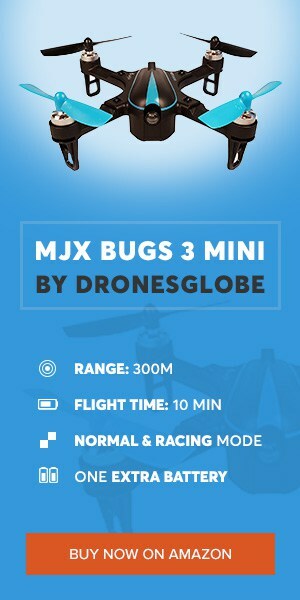 In depth review of JXD 510G, new drone that offers good value for the money!